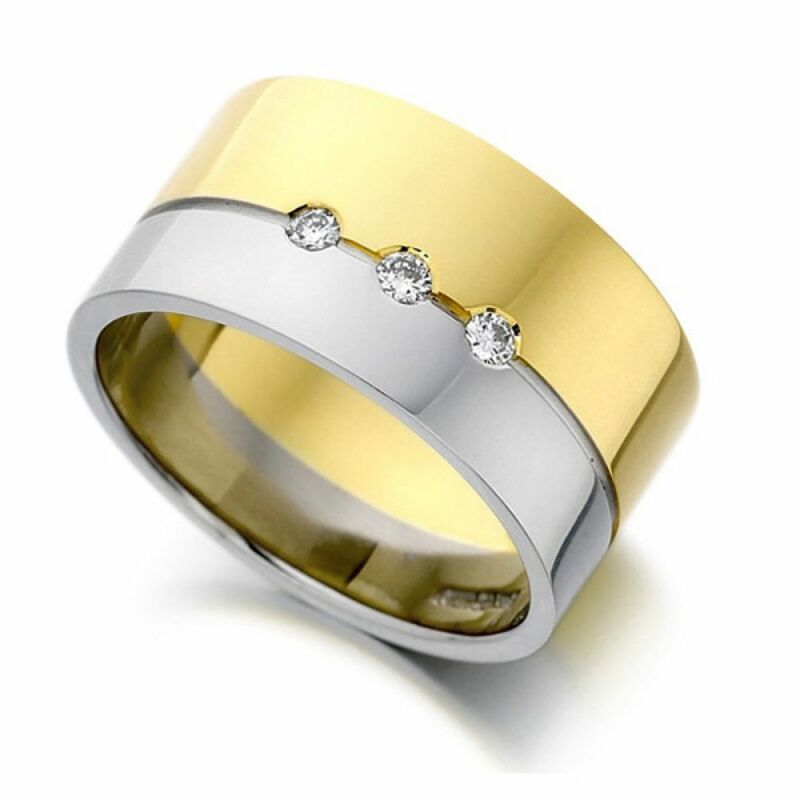 A Wide two Colour Wedding Band set with Diamonds. Luxurious and substantially crafted, this 18ct Yellow Gold band combines further luxury with a contrasting section of 950 Platinum. Measuring 10mm in width this dramatic band holds 3 x 2mm G Colour VS2 Clarity Diamonds, Flush set into the dividing Channel. With an impressive 14.5g of precious metal, the ring is available from our ready made collection in finger size N + 1/2. This exquisite design will be hand delivered in our beautiful white ring box, securely gift packaged and available with speedy delivery.